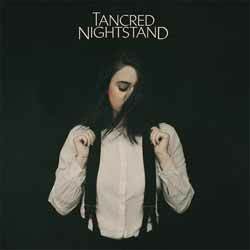 Tancred (aka Jess Abbott), releases her latest album Nightstand via Polyvinyl Record Co. The album contains 11 songs (34 min, 42 sec). For me, this album works well because quite frankly each and every track could make it as a single release in its own right. There's a diversity here that you very seldom get on Indie Rock albums these days. Almost from the first play through I fell in love with each song... some did take a little longer to warm to, but I found that these were the ones that had more depth and longevity. 'Queen of New York' is '90s Indie Rock in its purest form: the guitar riffs brought to mind the music of Breeders, while 'Clipping' reminded me of The Cranberries early work. There's a little something here for every mood and occasion. Indie Rock doesn't come much more varied and enjoyable as this.